TPC Overall Rank: #17 out of 2933 rides. In User Top 10: 220 times. User Tracker Count: 258 times. Wow this ride is good and gives VERY different experiences when ridden on the front and the back of the train, the back is a LOT more rough in case you don't like it rough but I do so I love it! 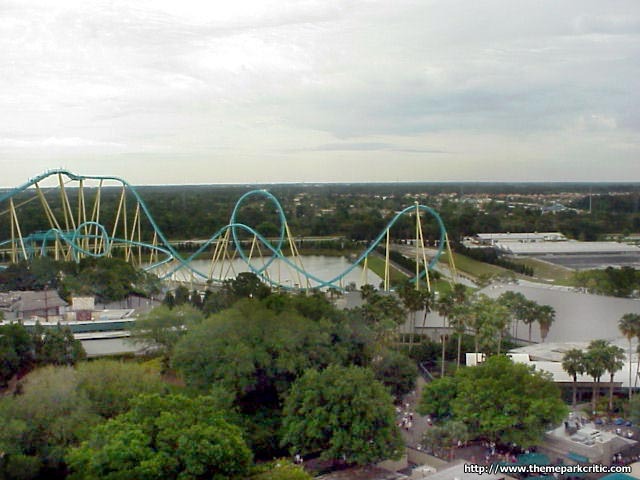 Simply put, a great ride, with lots of track stretching out beyond the ride car even if you aren't in the front row. For me, this is one of the greatest features of Kraken. This has got to be the most dissapointing ride ever. Besides the zero g roll and dive loop i&#39.d give this ride a one. The ride starts out with a small dip as many B&M&#39.s do. After the lift there is a small drop and banked curve. 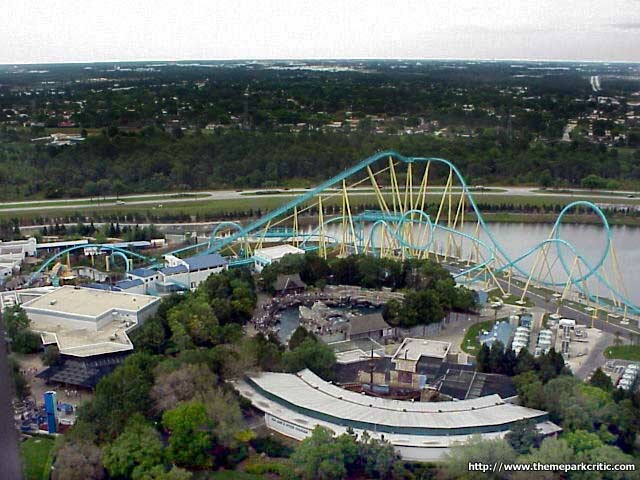 The ride then enters it&#39.s first big drop reaching speeds of up to 65 Mph. The ride enters a monstrous loop. An excellent dive loop follows the intial loop. The best part of the ride happens here the zero g roll. 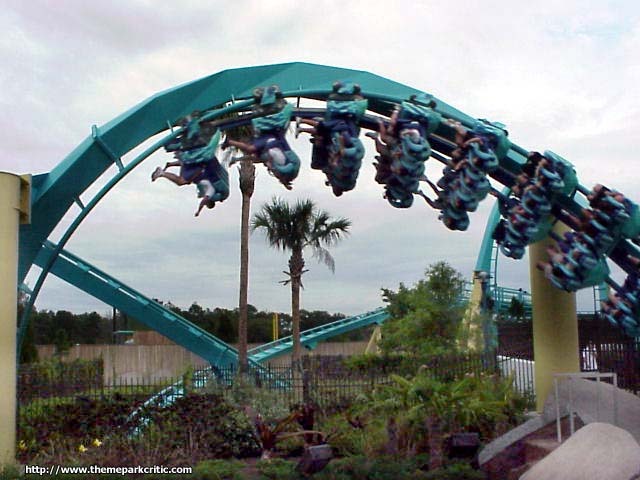 This is probaly my thrid favorite zero g roll I have been on. The ride exits the zero g roll with some brakes on the drop. 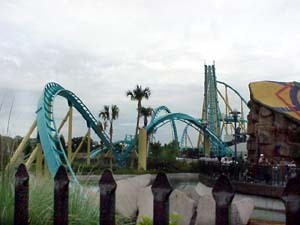 The cobra roll is taken here then a turn around curve is taken after the cobra roll. The mid course brake is located here. The drop has a curve on it. 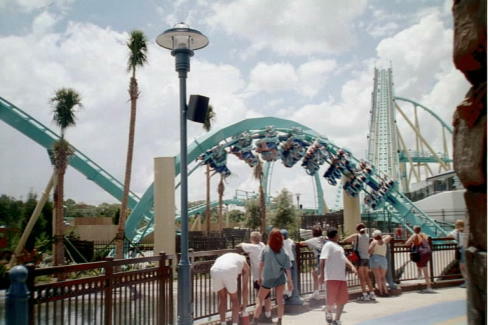 The ride goes below ground into a loop. the ride then has a small hill follwed by a high speed curve taken in a dark tunnel. The ride exits the tunnel and goes into a corkscerw. 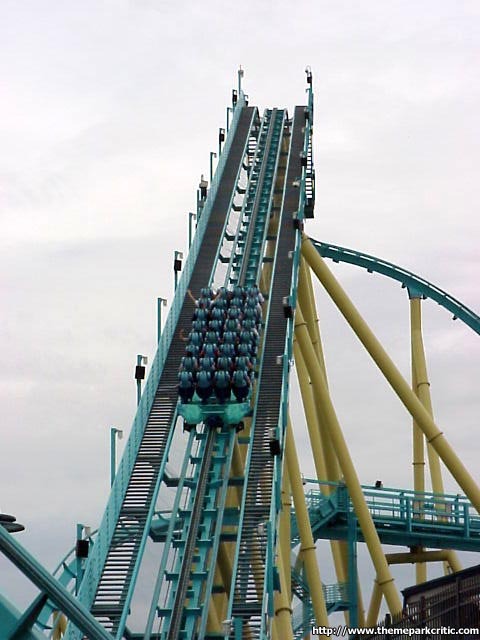 The ride then has a small airtime hill and then hits the final brakes. This ride does the little things right but, doese&#39.nt deliver what it should. Not worth wating more then 15 minutes. Date Ridden: January of 2007 and 2008 Times Ridden: 20 (yep....20) including 13 consecutive rides in 3 hours on 1-19-2008. 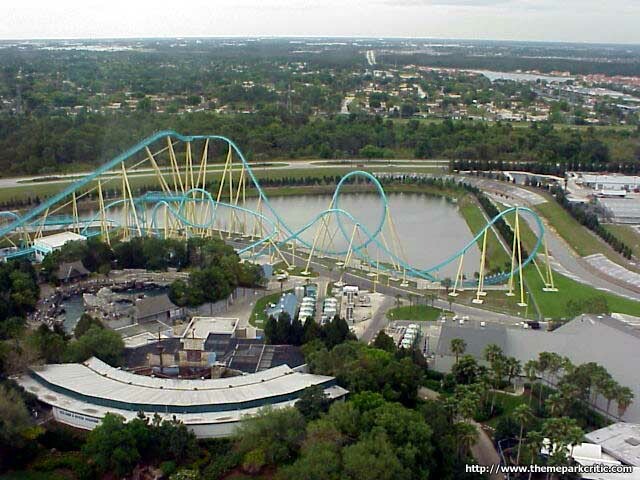 Happy Birthday to me on the best "non-gimmick" coaster in Florida!!! I was blessed to be able to spend the first part of my 36th birthday lapping Kraken on a cold and misty morning a week ago. And let me tell you, it was definitely worth the overnight ride from north Georgia to Orlando. 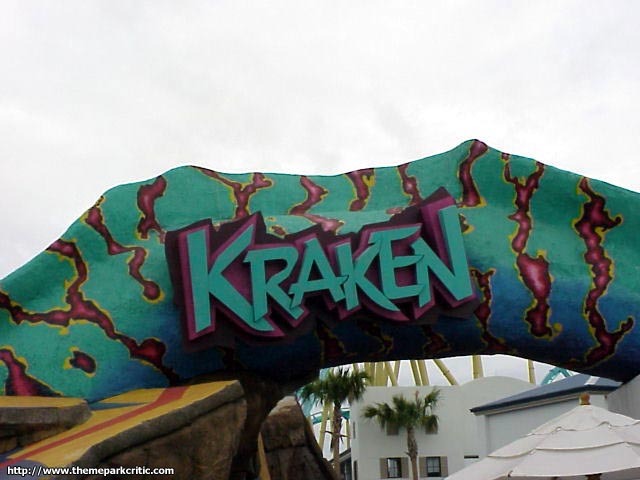 I remembered from last year that Kraken was an outstanding coaster, but riding something 13 times in a row gives one a greater understanding for rides that are this good. The pacing on this thing is simply perfect. 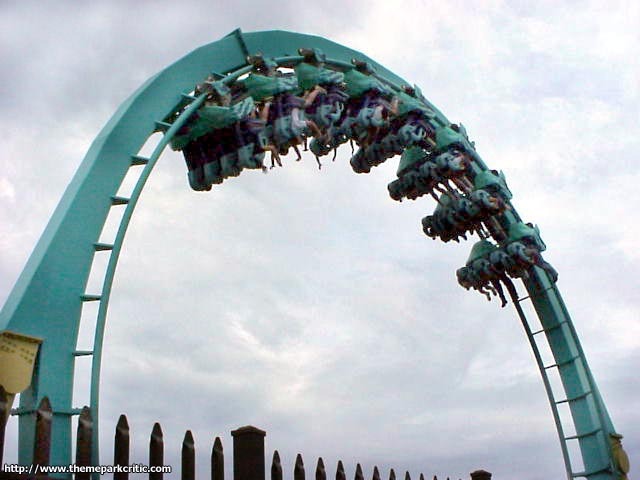 The large drop into the vertical loop, the dive loop and the zero g roll lead to a virtually perfect first half. The drop off the mid-course brakes down into the two tunnels and the final corkscrew are superb. We even were lucky enough to ride on a virtually empty train in which the mid-course brakes did not kick in leading to an insane second half. 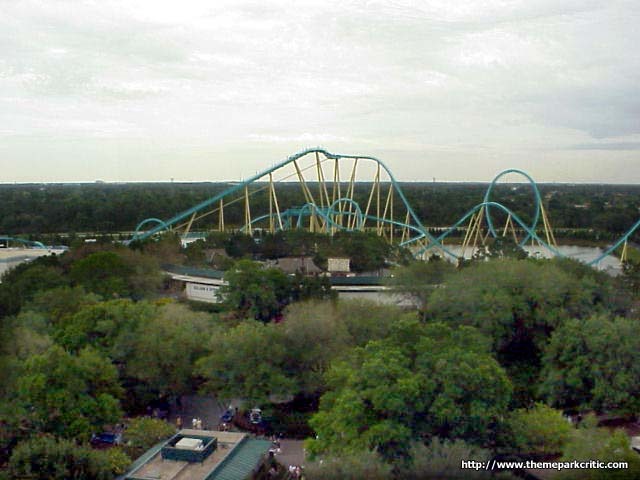 Add to that the fact that it was so overcast and misty (it was impossible to even see the course layout from the top of the lift hill) led to some of the best rides I have ever had on any coaster. And amazingly, they were not even the best rides of the trip!! 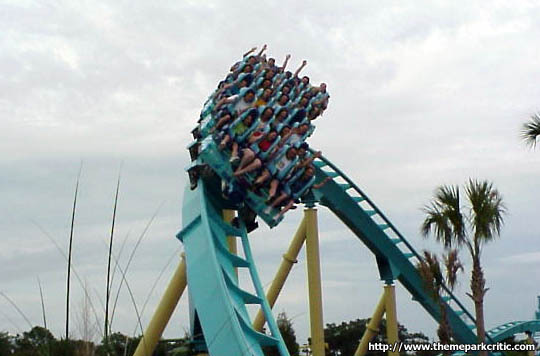 We had a wonderful journey to Florida and Kraken got us off to a great start. My only grip was that for the first hour they were only running one train which led to 20 minute waits in between rides. Once the second train was added, the fun really began as everything else was a walk-on. Kraken gets a solid 9. Make sure to ride the front seat as without a doubt it is the best seat by far on the train. this coaster is perfection. its not too short, its got a nice drop, good speed, just the right amount of loops, a nice theme, its everything a floorless coaster should be. if there were a text book on making floorless coaster this would definitely be in it.